The following courier software downloads require an OnTime account. If you do not have an OnTime account, purchase an account or sign up for a trial. 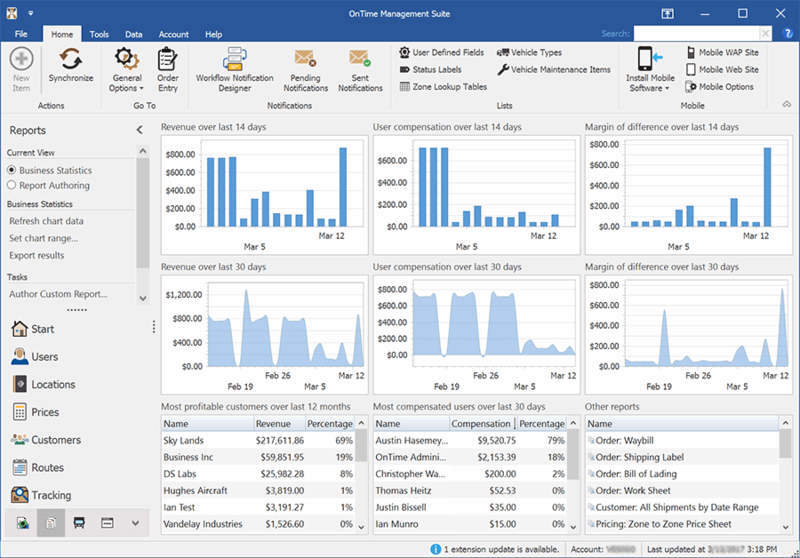 OnTime Management Suite is the desktop app for setting up and managing an OnTime account. Manage users, customers, pricing, routes, schedules, and much more. 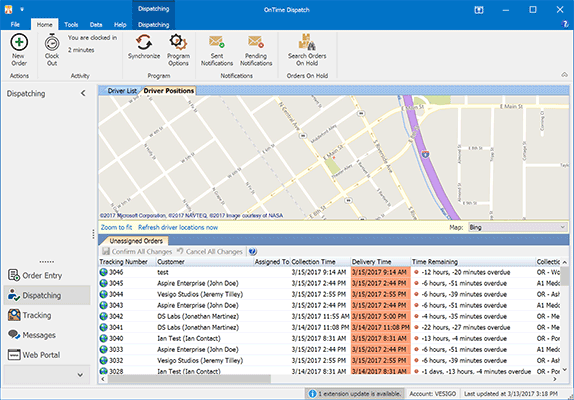 OnTime Dispatch delivery software consists of all of the tools needed to create, track, and manage shipments as they pass across OnTime. OnTime logistics software includes applications specifically designed for a variety of mobile devices including Android, iOS, and other devices. Click here for more information on how to install OnTime Mobile on Windows Mobile, Windows Phone, or BlackBerry. Interested in trying the latest features within OnTime? Indulge your sense of revolutionary adventure and use the latest Preview Release. Older versions of OnTime are available for download here.